Every time you buy something for your child, you need to make sure that it is safe, non-toxic, and made of high-quality materials. This is why organic stuffed animals have become increasingly popular with discerning parents and guardians who only want the best for their children. Organic stuffed animals make excellent toys, and they are environmentally friendly. They are usually made of organic cotton with unbleached cotton clippings for the stuffing, so you can be sure that your child is playing with toys that are free of harmful chemicals. For added safety, the eyes of the stuffed animals are embroidered instead of being sewn in as buttons or beads. This eliminates any choking hazard. Organic stuffed animals come in different designs, so you should be able to find one or more that your child will surely love. Some of the popular designs include the timeless teddy bear, but you can find them in other types like whale, rabbit, puppy, and turtle, too. 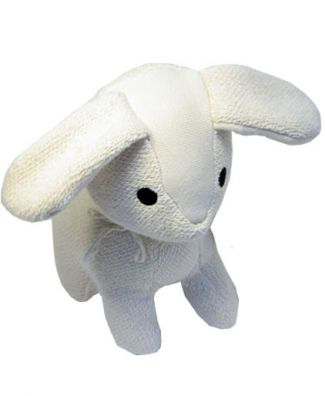 Organic stuffed animals are free of toxic substances that are found in most dyes, bleaches, coloring, and synthetic fabrics, and these harmful chemicals can off-gas to be inhaled or absorbed by the skin, causing allergies and other potential health risks, like cancer, developmental problems, cognitive issues, and fertility issues. Some of the best organic stuffed animals for children are hand-crafted. They are made of organic cotton that does not contain synthetic fibers. Hence, you can be sure that they are completely safe for kids. It usually takes three years to farm certified organic cotton without harmful pesticides and toxic chemicals. This manner of farming helps protect the environment, the farmers, soil, and ground water, too. Organic cotton is soft and gentle to the skin. It is hypoallergenic, too, so you do not have to worry about your child having allergic reactions and skin allergies every time he or she plays with the stuffed animals.